Low Head Socket Cap Screws are similar to standard socket cap screws except the head height is 1/2 the size and the socket size is also smaller. Applications for low head socket cap screws are usually in areas where there is limited clearance or in counterbored holes of material too thin for a regular socket cap screw. 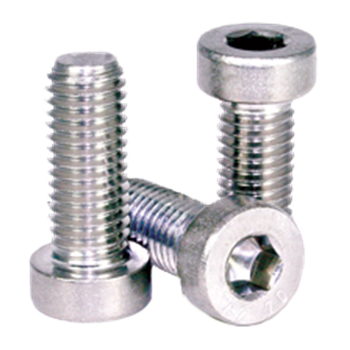 However, because of their design, they cannot withstand the same preloads as a standard socket cap screw. RC Fasteners & Components is your source for quality alloy black oxide and stainless low head socket cap screws in imperial and metrics sizes. Worldwide ISO9001:2015 Accredited Stocking Supplier of Fasteners for ALL Industries, including Electronic Components, Certified Aerospace Hardware & CNC Custom Fasteners, Made-to-Print.